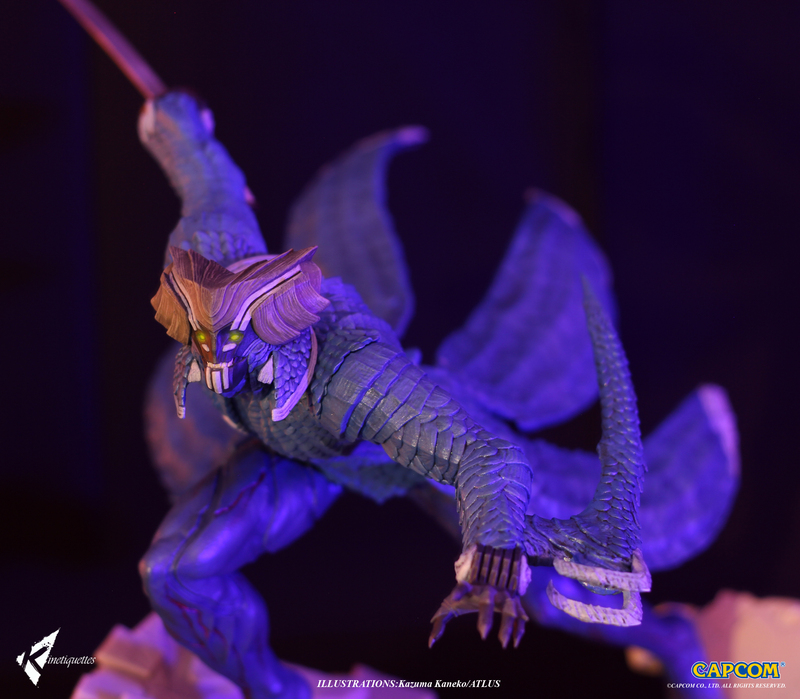 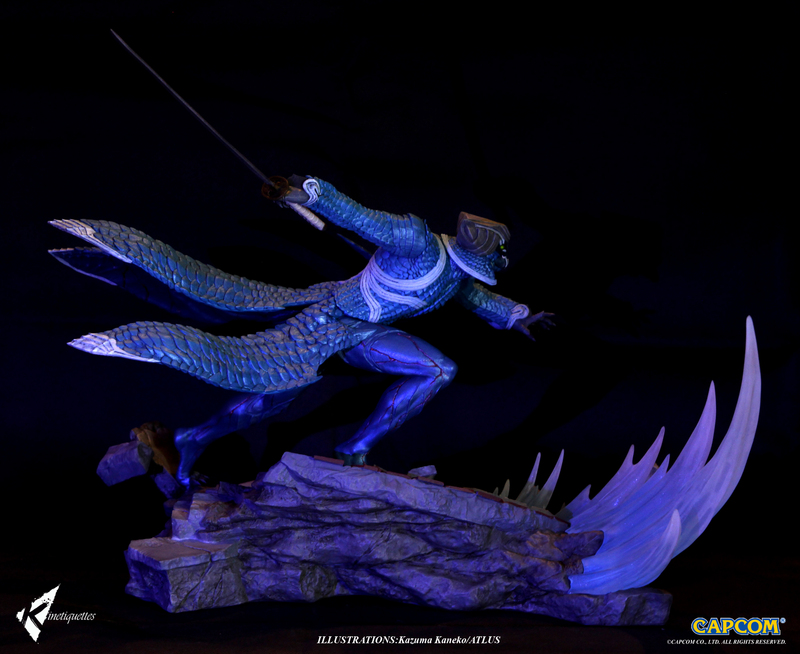 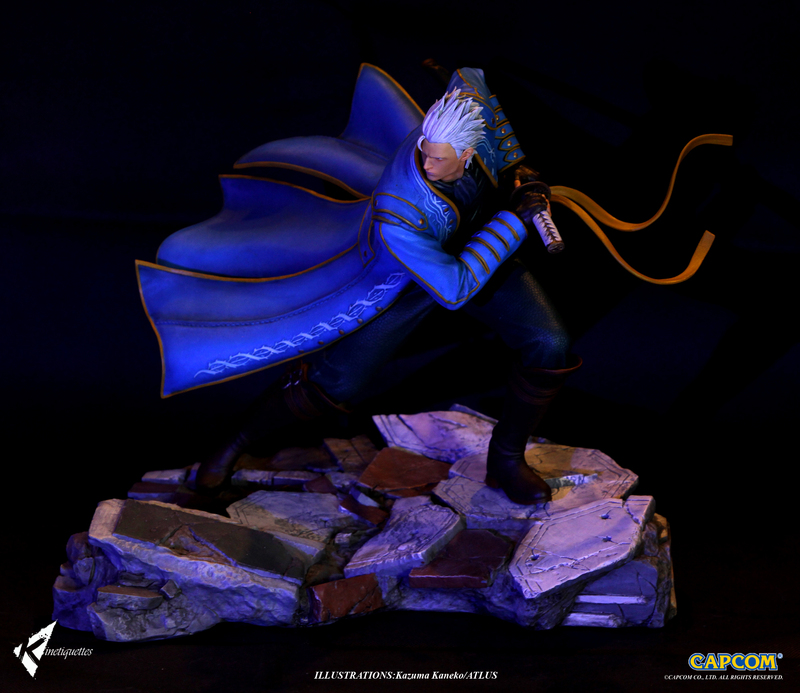 This is a statue of Vergil from Devil May Cry 4 that is part of our Sons of Sparda diorama, which includes Dante and Vergil in their human and devil trigger forms. 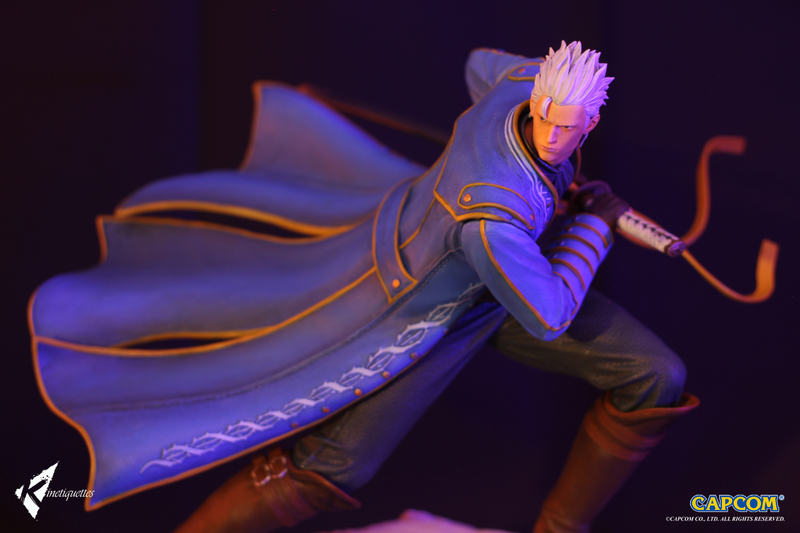 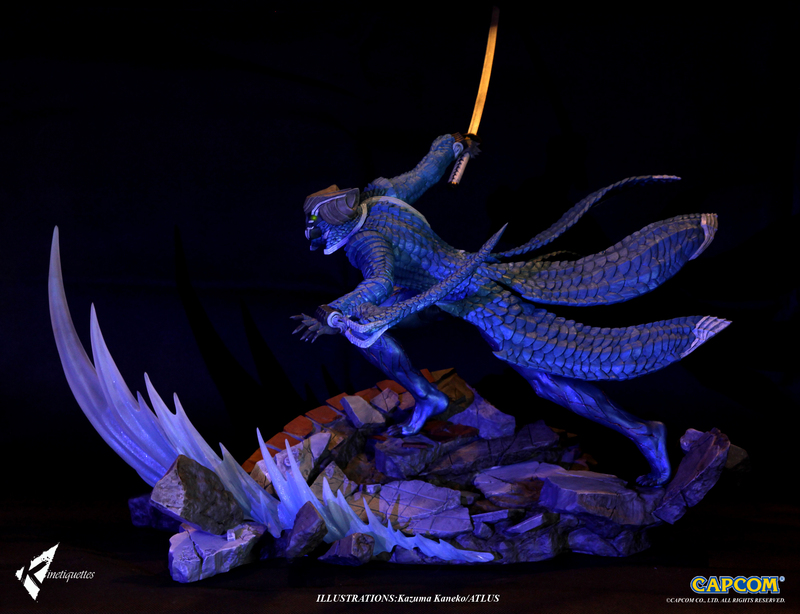 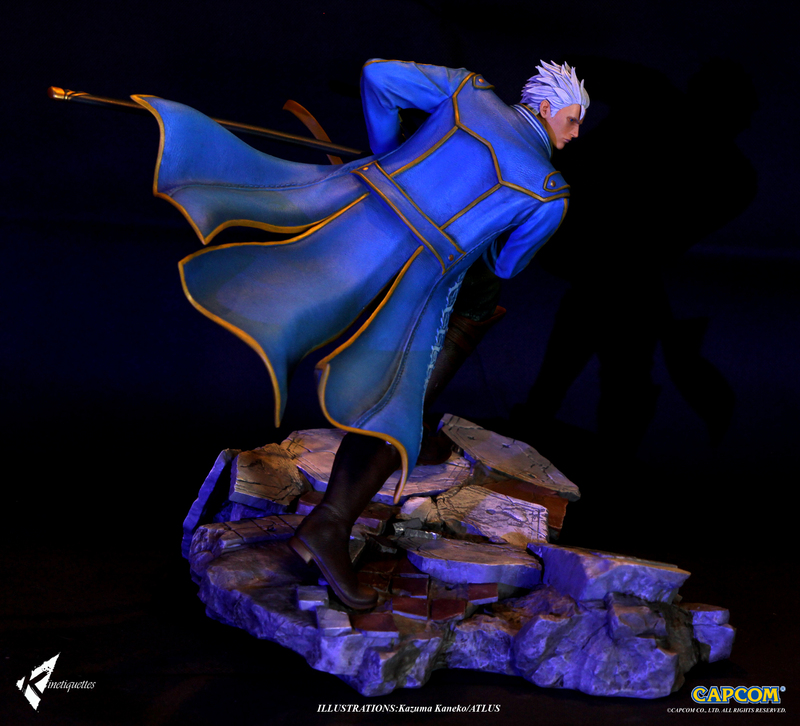 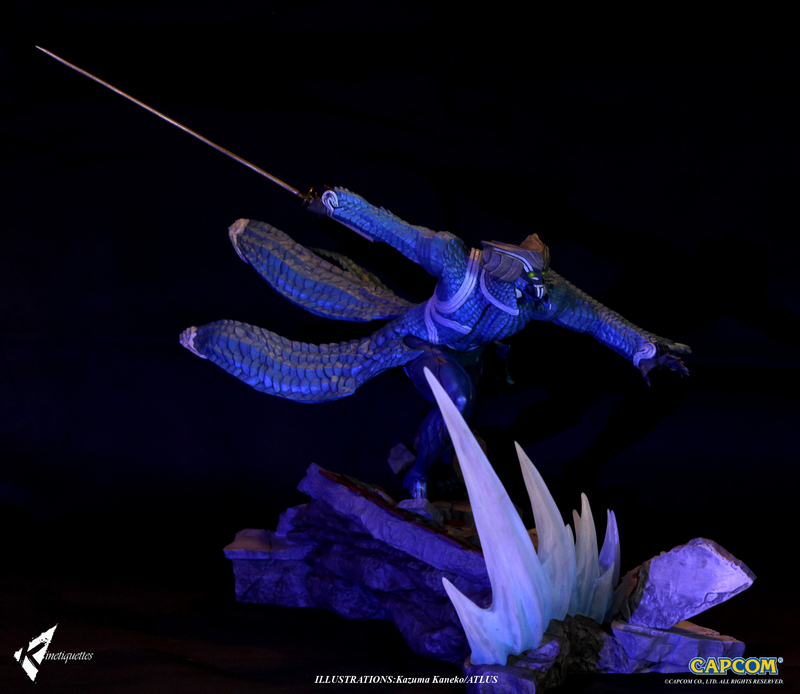 This stylish diorama depicts Vergil ready to strike in human form followed by his Yamato slash in Devil Trigger form. 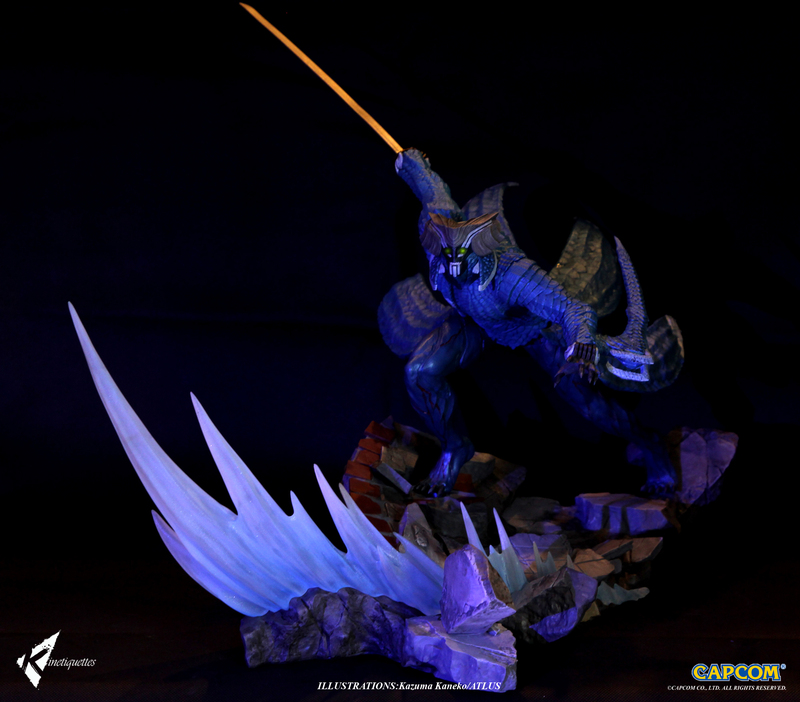 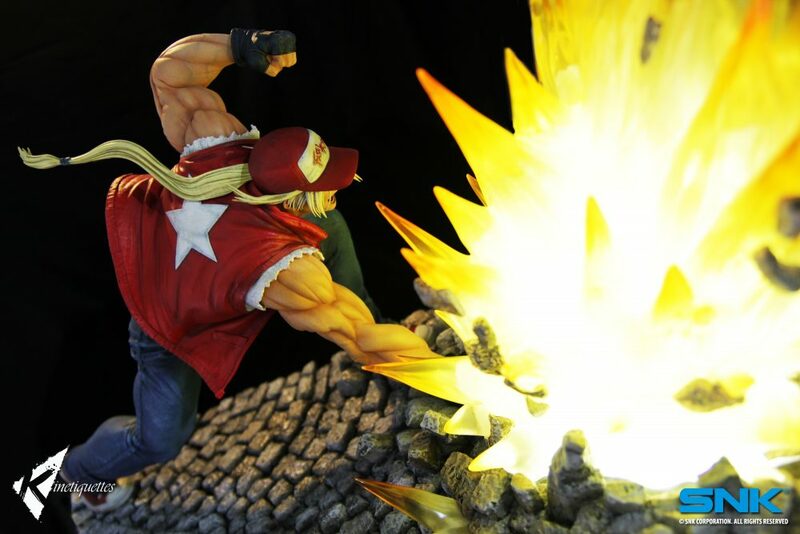 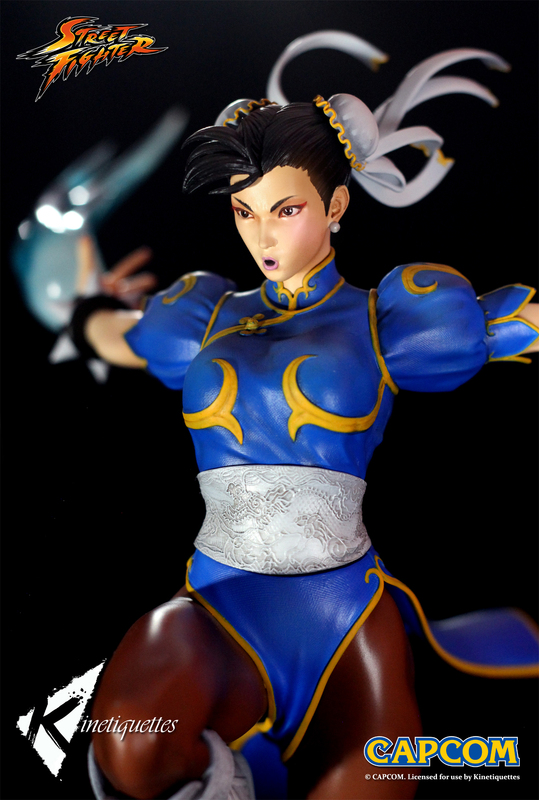 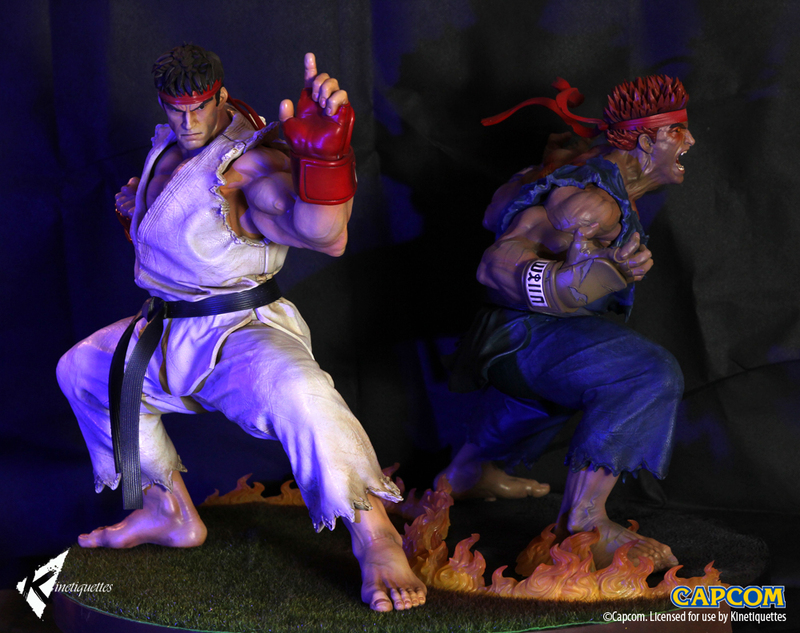 These can be displayed individually or inter-connected with the Dante set to create an action-packed scene depicting their rivalry. 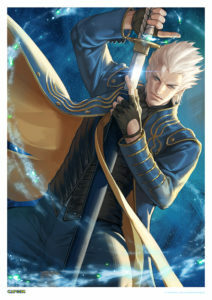 Background: Vergil was the eldest of twin sons born from the demon Sparda and human Eva, and is the main antagonist of Devil May Cry 3: Dante’s Awakening and a playable character in its special edition. 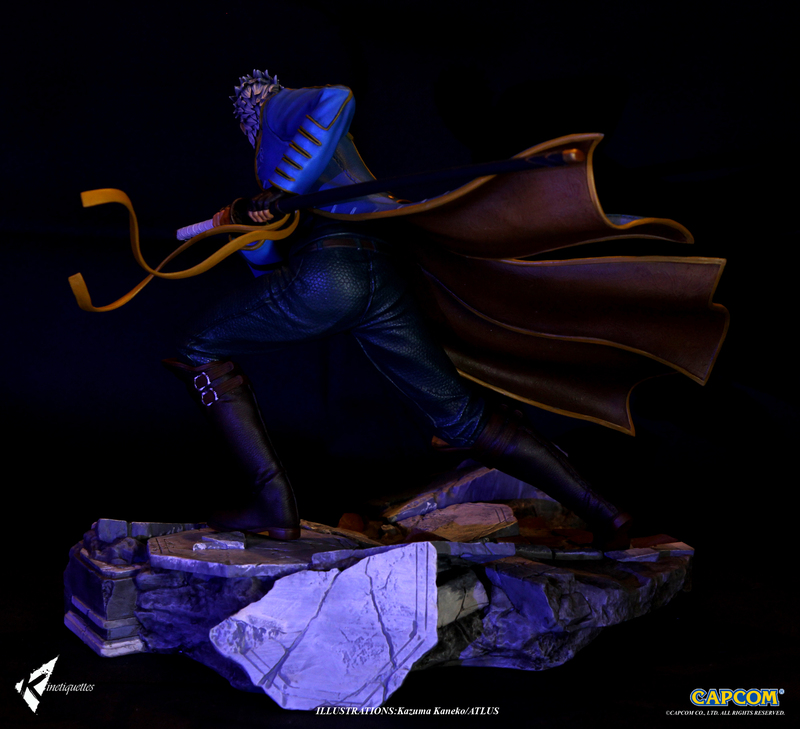 Following the death of their mother as children, Vergil and Dante go their separate ways, with Vergil rejecting his humanity and embracing his demonic heritage, contrasting his younger brother’s embrace of humanity and initial rejection of the demonic. 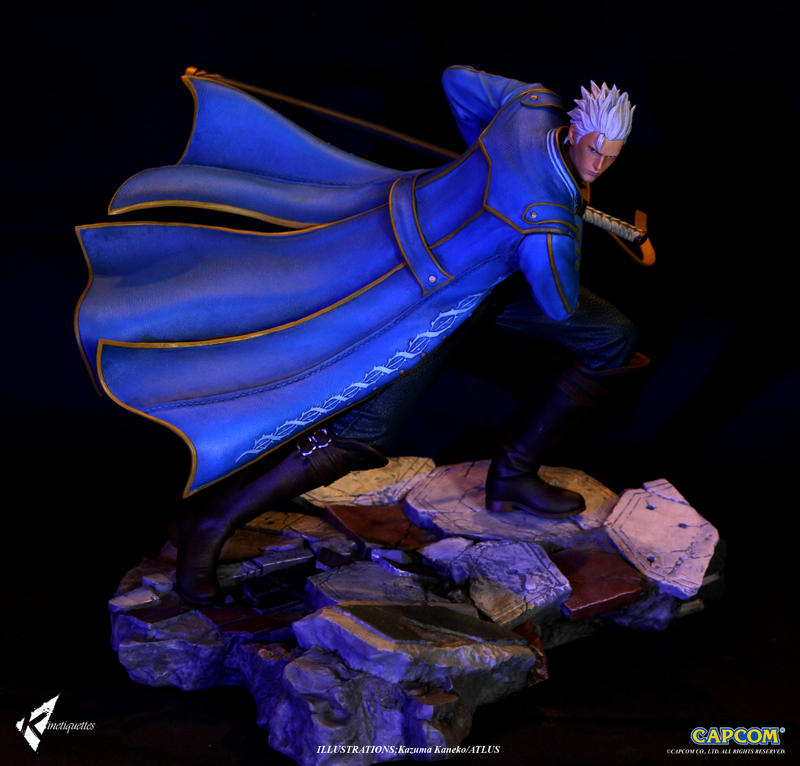 Stoic and reserved, Vergil displays a willingness to do anything in his quest to obtain the power of his father, Sparda.